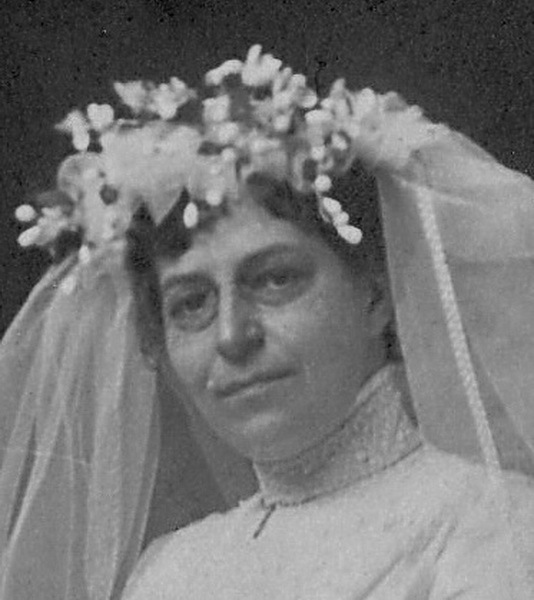 Marriage* Catherine Shier married Jonathan Amos Spearin, son of George Spearin and Rachel Doupe, on 15 February 1893 in Woodham, Perth County, Ontario, Canada; Married on same day as her sister Martha. 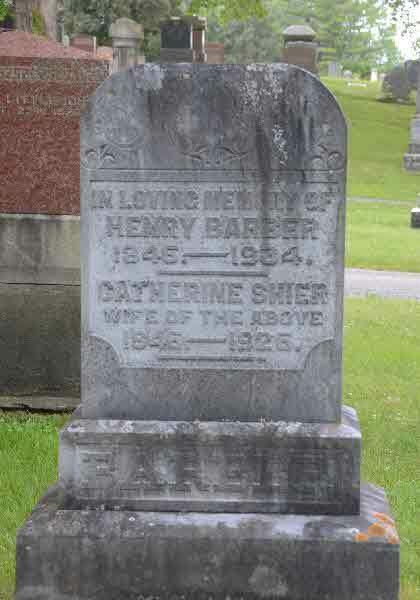 Death* Catherine Shier died on 19 March 1908 in Wetaskiwin, Alberta, Canada, at age 74; It is our duty this week to chronicle the death of Mrs. Catherine Portiss, which took place at her residence on Saturday last, at the age of 74 years. She had been in ailing health for some time, hence her death was not unexpected. 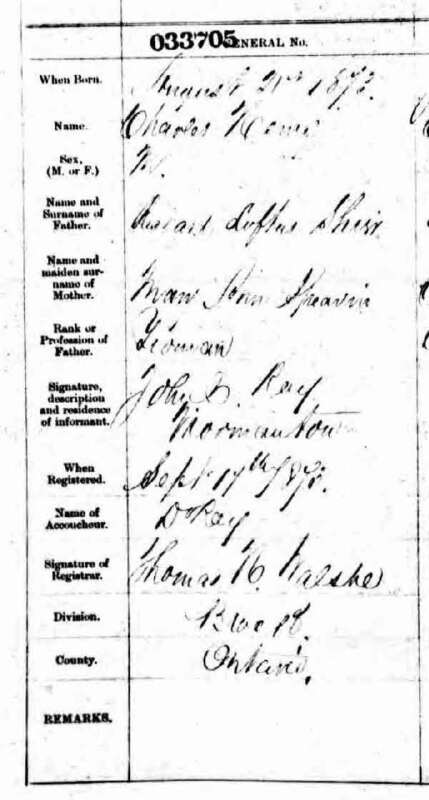 Deceased was born in Limerick, Ireland in 1834, and when 10 years old left with her parents and resided in Perth County, Ontario. 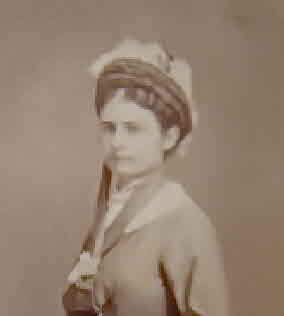 In 1856 she was married to Walter Gammond, who died in 1866. 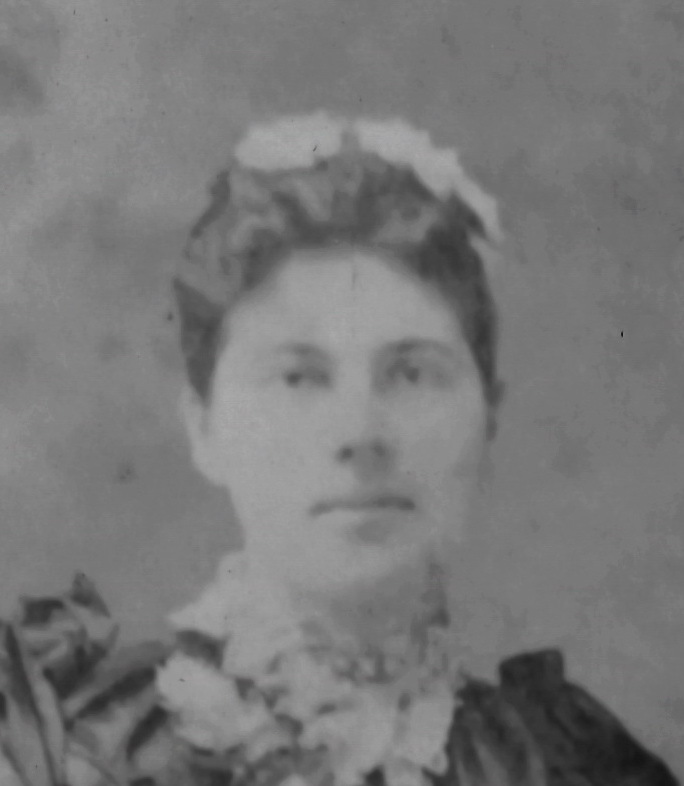 In 1867 she married Richard Portiss and one year after they moved to Seymour, Wisconsin where they lived until 1892, when they mvoed again to Lisbon, North Dakota. 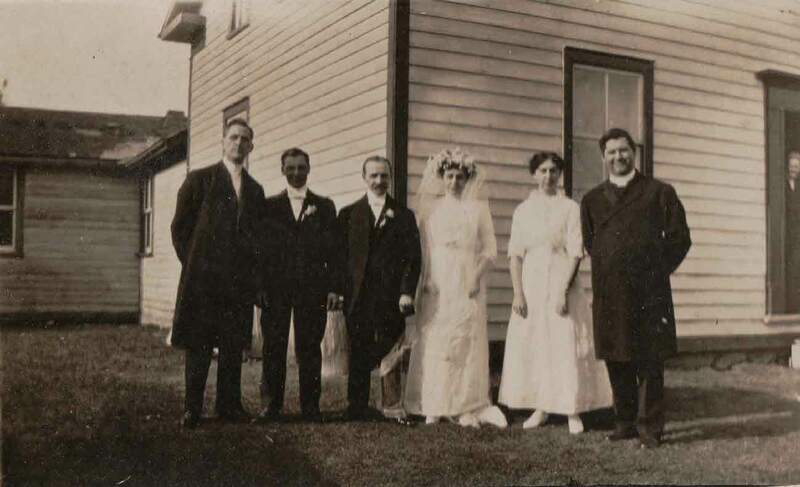 In 1900 they decided to take up their residence further west and settled in the Wetaskiwin District. 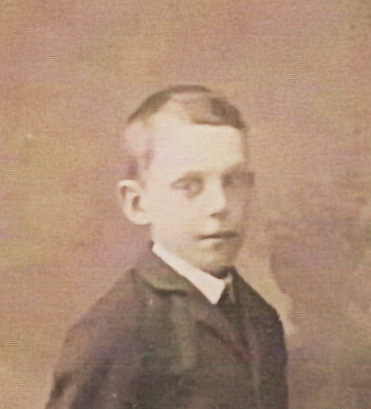 Mr Portiss died in 1902. 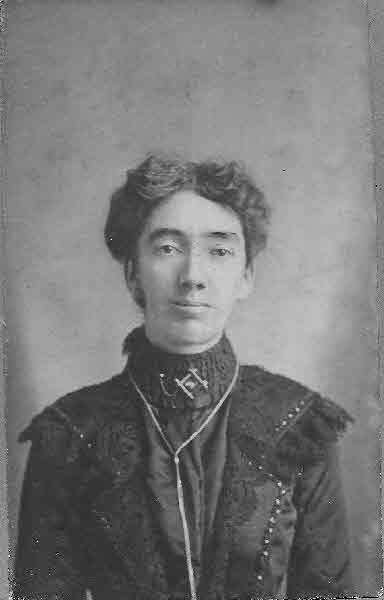 The children left to mourn her departure are W. C. Gammond of Sedgewick, Ben Portiss of Wetaskiwin, Mrs. T.H. 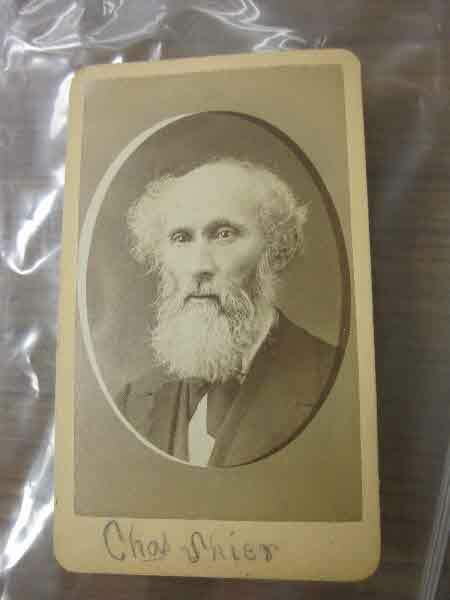 Dickson of Wisconsin, Wm. Portiss, Mrs. John Mason and Mrs. Alex Mason, all of North Dakota. The funeral took place on Monday, the interment being in the the Wetaskiwin Cemetery. The members of the L.O.L. had charge of the funeral arrangements and attended in a body. The sympathy of the community is extended to the bereaved family. 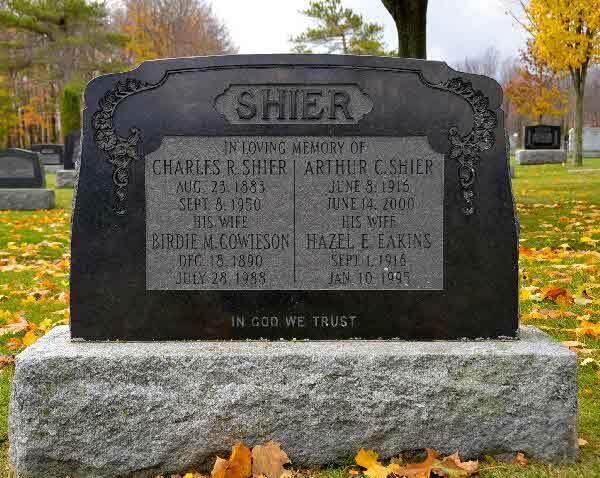 Burial* Catherine Shier was buried in St. John Cemetery, Brock Twp., Ontario County, Ontario, Canada. 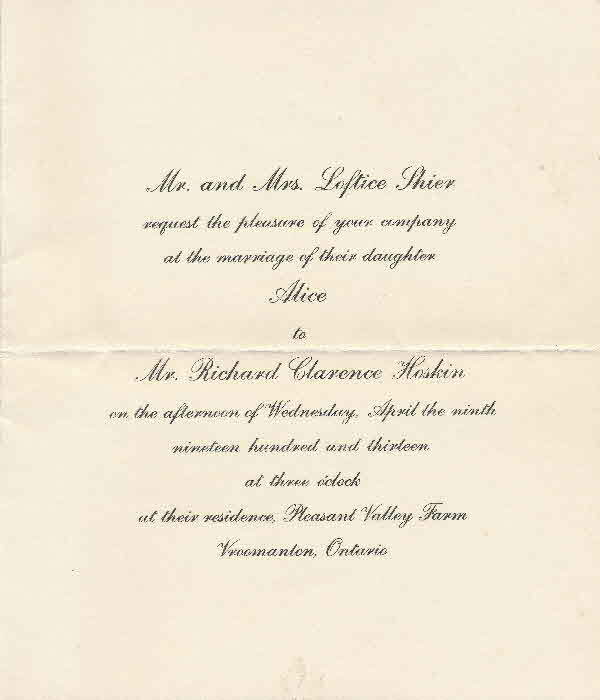 Marriage* Catherine ALICE Shier married Richard Clarence Hoskin on 9 April 1913 in Brock Twp., Pleasant Valley farm, Ontario County, Ontario, Canada. 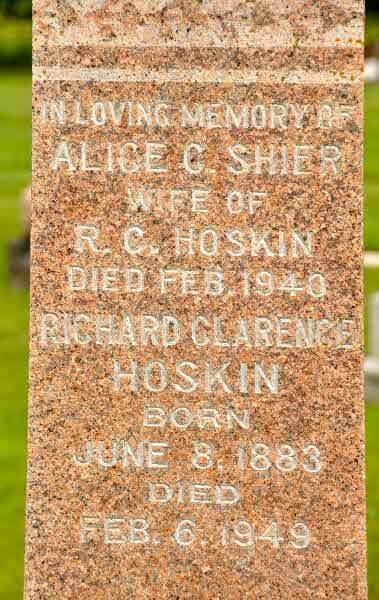 Death* Catherine ALICE Shier died on 12 February 1940 at age 69; HOSKIN; Alice Catherine Shier -- On Monday, February 12, 1940, at her home, 83 Margueretta Street, Toronto, Alice Catherine Shier, beloved wife of Richard C. Hoskin, and daughter of the late Mr. and Mrs. Loftus Shier. Resting at the home until Thursday morning at 10 o'clock. Service in the chapel of A.W. Miles, 30 St. Clair Avenue West, Thursday 12 o'clock noon. Funeral service in Pinedale United Church on Thursday afternoon at 3 o'clock. Internment in Pinedale Cemetery. Burial* She was buried in Pinedale Cemetery, Brock Twp., Wick, Ontario County, Ontario, Canada. 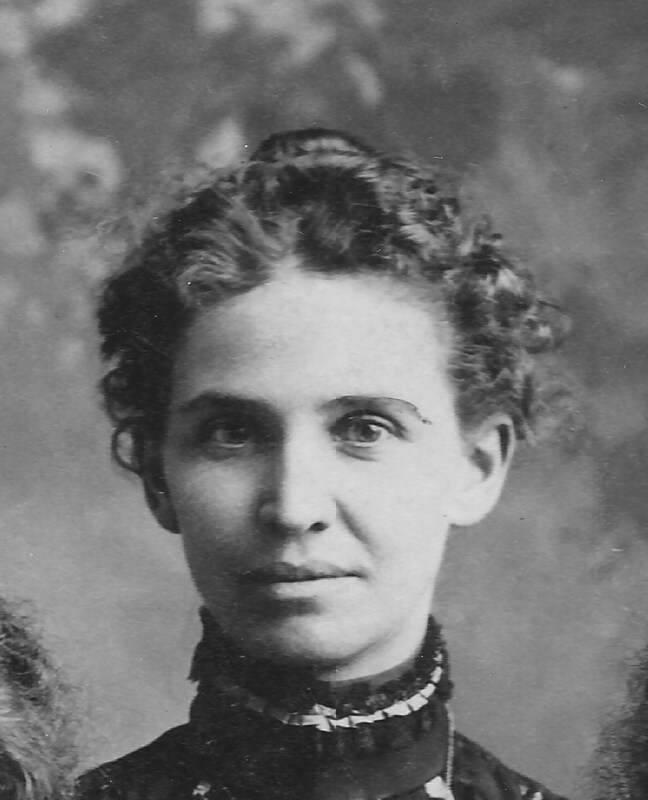 Birth* Catherine Ann Shier was born on 28 October 1869 in Georgina Twp, York County, Ontario, Canada. 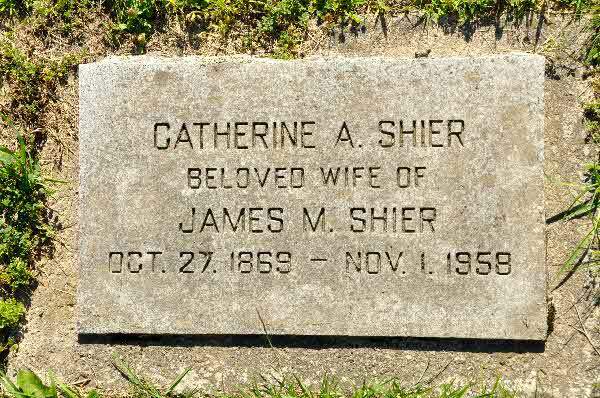 Marriage* Catherine Ann Shier married James Mooney Shier, son of James Shier and Mary Ann Mooney, on 9 April 1890 in York County, Ontario, Canada. 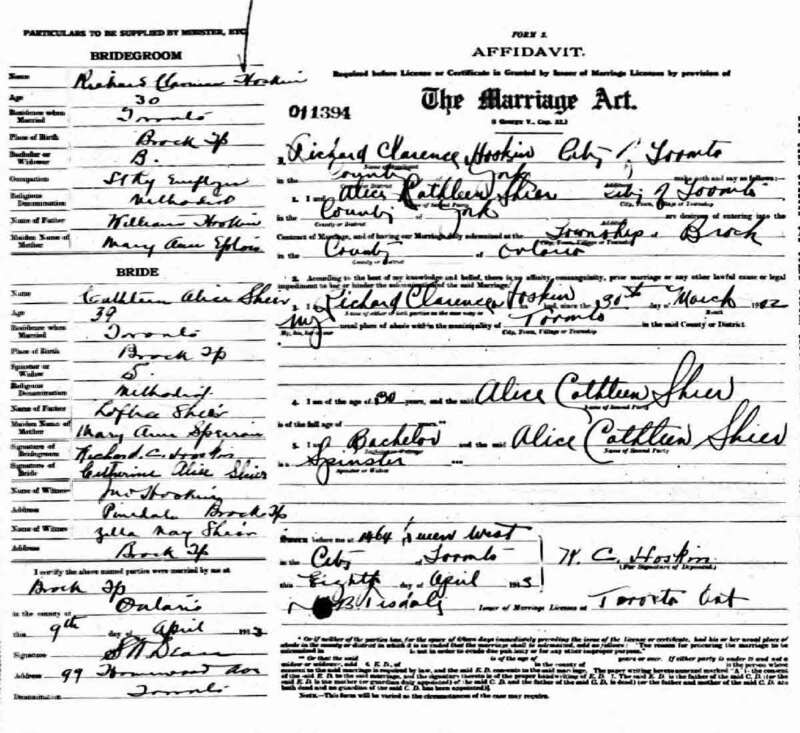 Marriage* Catherine Ann Shier married Martin Luther Williams on 24 February 1886 in Vroomanton, Ontario County, Ontario, Canada; Reg Number 45561. 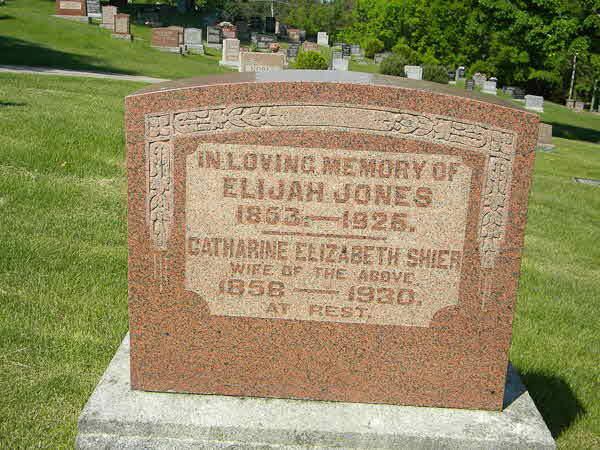 Fact 1* Elijah John Jones and Catherine Elizabeth Shier. 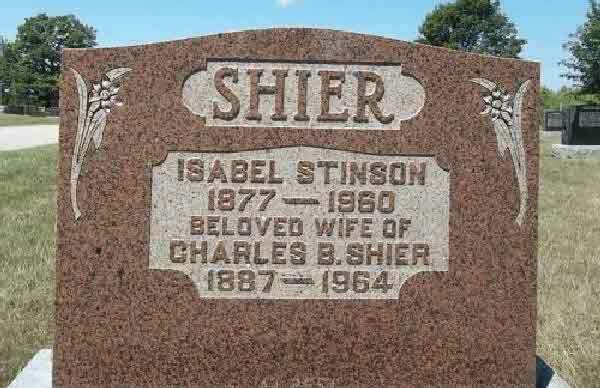 Death* Catherine Elizabeth Shier died on 2 February 1879 in Georgina Twp., York County, Ontario, Canada, at age 2. 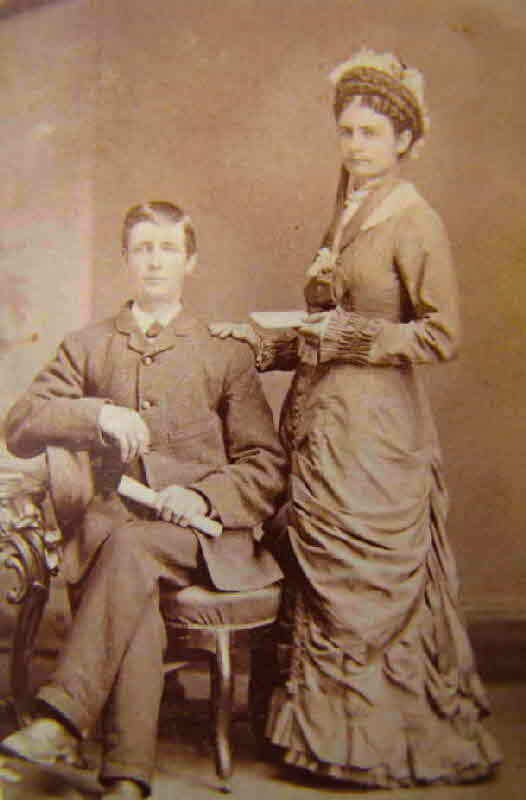 Marriage* She married William Hinchy on 5 February 1885 in Parish Church, Parish of Adare, Croom, County Limerick, Munster, Ireland. [S73] Ireland, Select Births and Baptisms, 1620 - 1911, online \, Birth/Baptism of Cathierne Jane Shier, d/o Jacob Shier and Catherine. 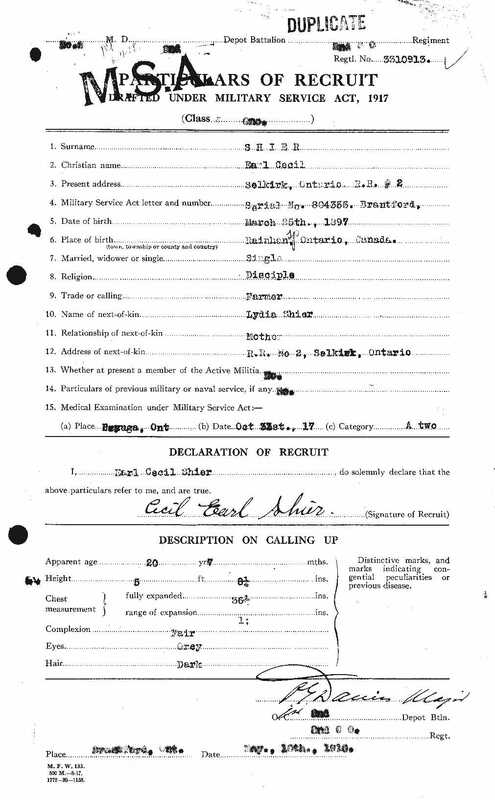 Milit-Beg* He began military service on 31 October 1917 in Cayuga, Ontario, Canada, drafted under the Military Service Act. [S104] Ireland, Seclect Marriages, 1619 - 1898, online \, Marriage of Charles Shire and Emily Switzer; FHL Film Number 897365. [S73] Ireland, Select Births and Baptisms, 1620 - 1911, online \, Baptism of Charles Shire, son of Christophere Shire and Ann. Death* Charles Arthur Shier died on 1 December 2015 in Ross Memorial Hospital, Lindsay, Victoria County, Ontario, Canada, at age 66; SHIER, Charles 'Chuck' - Peacefully at the Ross Memorial Hospital in Lindsay on Tuesday, December 1, 2015 at the age of 66. 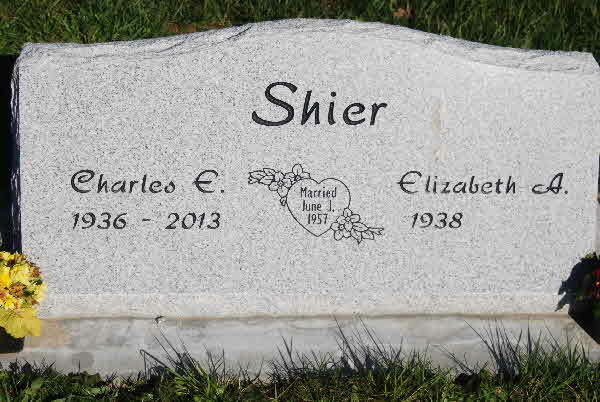 Charlie Shier, was the beloved son of the late Art and Hazel Shier (nee Eakins). Loving brother of Anne Coppins and her husband Ken, and Jean Graham and her husband Allan. 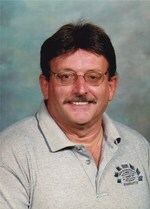 Dearly loved uncle of Brian and Richard Coppins, Kevin Graham, and Laurie Reid. Charlie will be sadly missed by his great nieces, great nephews and friends. Visitation will be held at the Mackey Funeral Home, 33 Peel Street, Lindsay on Friday, from 2-4 and 7-9 p.m.
Funeral service from Cambray Community United Church on Saturday, December 5th at 2:00 p.m. Cremation to follow with the interment of his cremated remains at a later date. 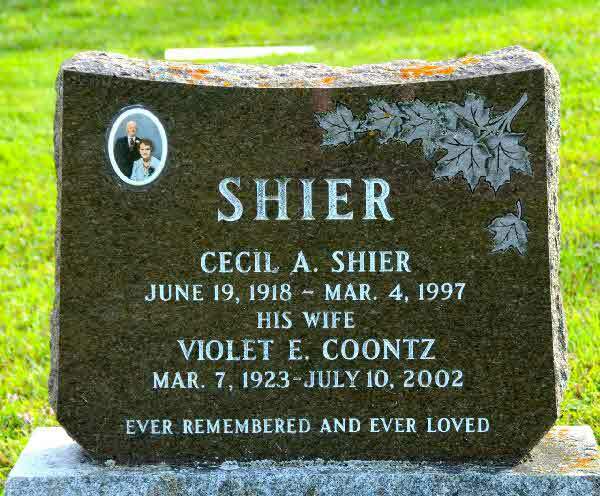 Birth* Charles Beverly Shier was born on 19 October 1877 in Kincardine Twp., Bruce County, Ontario, Canada. 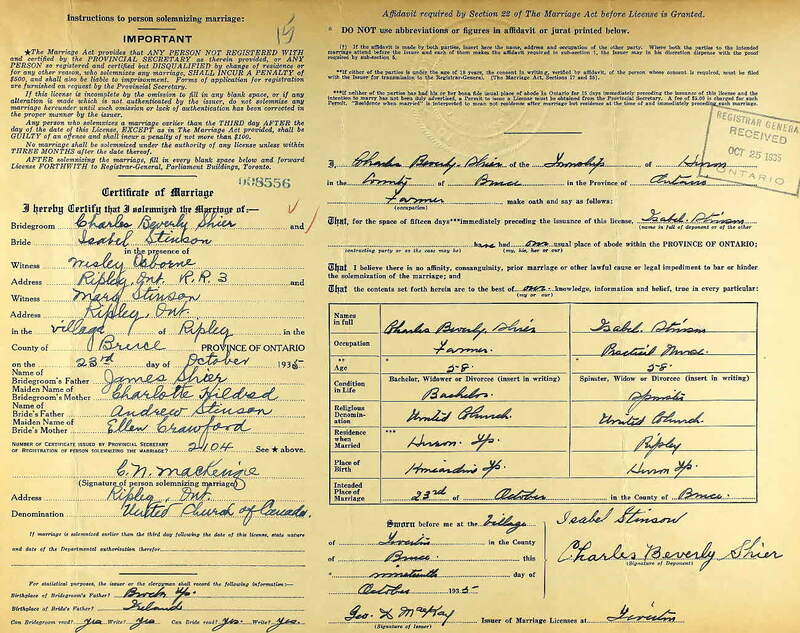 Marriage* Charles Beverly Shier married Isabel Stinson, daughter of Andrew Stinson and Ellen Crawford, on 23 October 1935 in Ripley, Bruce County, Ontario, Canada. Burial* He was buried in Ripley Huron Cemetery, Huron Twp., Bruce County, Ontario, Canada. [S73] Ireland, Select Births and Baptisms, 1620 - 1911, online \, Birth of Charles Christopher Shire son of Christopher Shire and Bridget. 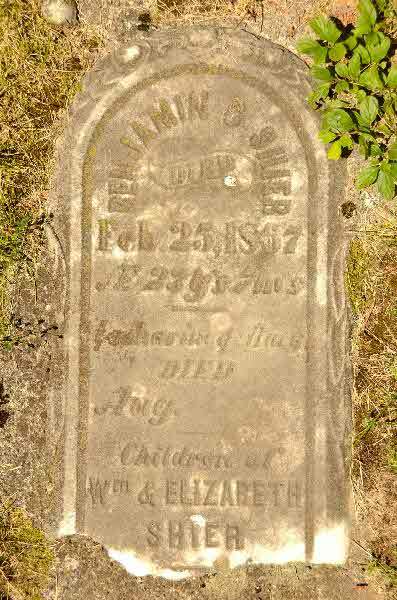 Burial* He was buried in Bethel Cemetery, Bethel, Polk County, Oregon, United States. Birth* He was born on 10 August 1880 in Kaladar, Lennox and Addington County, Ontario, Canada. 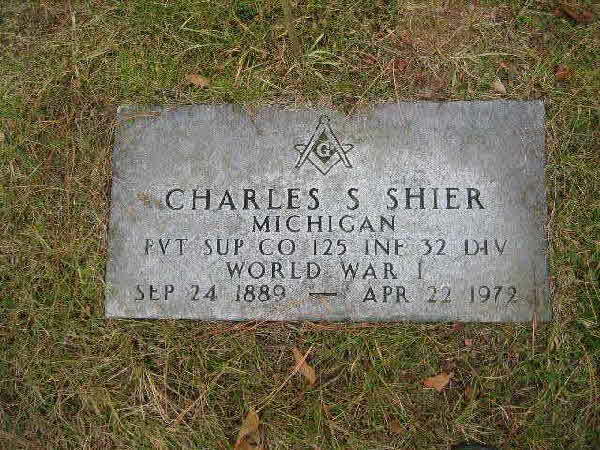 Birth* Charles Henry Shier was born on 21 August 1873 in Brock Twp., Ontario County, Ontario, Canada. 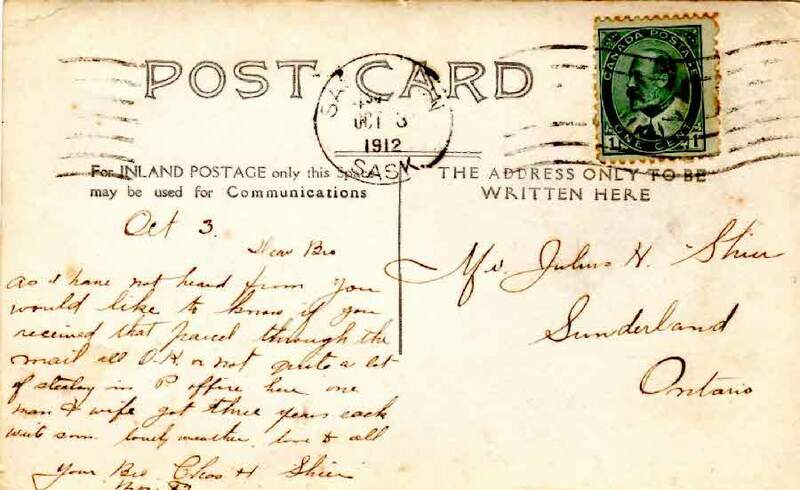 Fact 1* Wrote to his brother Julius H. Shier. Charles Henry passed away 6 months later. 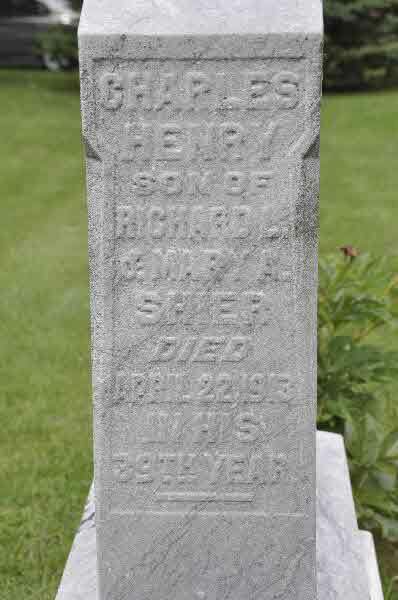 Burial* He was buried on 30 April 1913 in Ontario County, Ontario, Canada. [S22] Unknown compiler address, Saskatchewan Vital Statistics, unknown repository, unknown repository address, Death Registration for Charles Shier $1369. Fact 1 Charles Percival Shier retires. Burial* He was buried in Eden Church Cemetery, Mariposa Twp., Victoria County, Ontario, Canada. Birth* He was born on 11 February 1905 in Camden Twp., Lennox and Addington County, Ontario, Canada. Burial* He was buried; Buried in Bostwick Lake Cemetery.The Bostwick Lake (Bostwick Lake Township/Cannon Township) Cemetery is located on Old Belding Road off Belding Road (M-44) South side of the highway on a separate dirt road way, just East of Ramsdell Drive in Rockford, Cannon Township, in Kent County.